Jayne C. Weintraub has represented many high-profile clients in her career as a defense attorney, including former Major League Baseball star Jose Canseco, performer Sean Combs and Minnesota Vikings player Leon Hoard. She’s also been a TV star and a frequent legal commentator on national media. A Miami attorney who practices with her husband Jon A. Sale at Sale & Weintraub, she is also of counsel to Broad and Cassel and a member of the firm’s White Collar Criminal and Civil Fraud Defense Group. She represents individuals under investigation or charged with criminal offenses in federal and state courts, and has brought more than 100 jury trials to verdict. 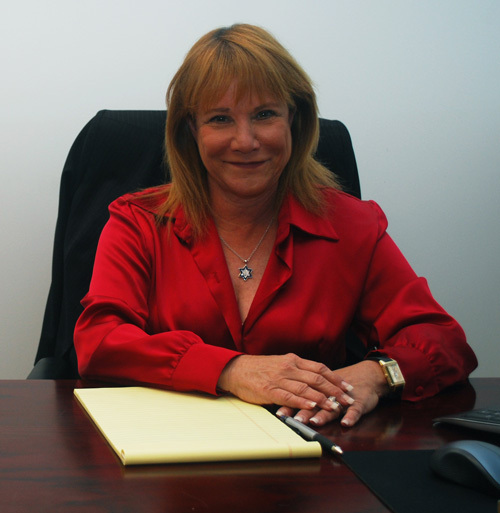 A native of Long Island, Weintraub moved to South Florida with her family, graduating from North Miami Senior High School, before earning her undergraduate degree at George Washington University and her juris doctor degree at Nova Southeastern University. “ I saw the law as a profession where I could do some good things, particularly for children and teens,” she says. While still in her mid 20s, Weintraub was assigned to one of the nation’s toughest murder cases: the brutal 1982 slaying of 10-year-old Staci Weinstein in the family’s North Miami Beach home. Initially, her father, Marvin Weinstein, was suspected of the crime, but after a year-long investigation, police arrested two men who had been cleaning carpets in the neighborhood. John Donald Pierson Jr. pleaded guilty and was sent to prison, and Edward Robert Wasko was convicted of first-degree murder and sentenced to life in prison. As a defense lawyer, Weintraub found herself representing clients in trials that were covered by Court TV. She also starred for two years in “Power of Attorney,” a daily syndicated Fox television show, before leaving in 2001 to help care for her mother, diagnosed with pancreatic cancer. Weintraub says. “We were successful in having the verdict set aside and the judge granted our motion for a new trial.” The court ordered the parties to mediation, which resulted in Alex serving eight years in a juvenile facility until his 21st birthday, rather than being sentenced to life in prison with no parole for 25 years. Derrick received the same sentence and benefitted from our motions, also. “Rosie was responsible for giving these boys a new life, free of abuse and to make their own way,” Weintraub says. Weintraub also represented Yahweh ben Yahweh, founder of the Nation of Yahweh movement, who had been convicted in federal court in 1991 of conspiracy to murder white people. “The state then charged Yahweh with multiple murders sought the death penalty against him,” says Weintraub, who with her partner was able to win an acquittal on the state charges. After serving 10 years in federal prison, Yahweh was released on strict parole. When he later became ill with prostate cancer, Weintraub was successful in her petition to release him from parole, and he died in his home in 2007.